The list of things you’d smoke and leave lying around for almost three decades isn’t very long, but the single-malt Laphroaig 28 Year Old slots in at the top. Released this month, the Scotch whisky hails from Islay, a west coast island known for its drams that are drenched in peat smoke just before fermentation. Distilled and then put away to age, it was carefully coddled in a series of casks of different sizes, from quarter casks (which hold about 13 gallons, or 50 liters) to butts (126 gallons). The last year of age came in casks formerly used to age Sherry. 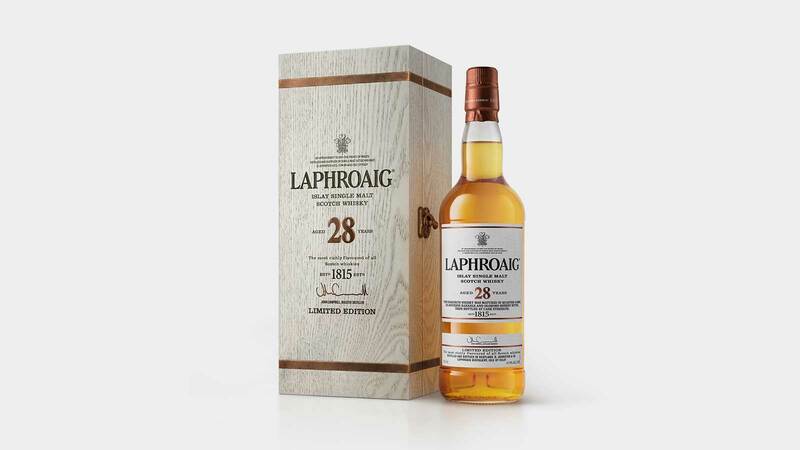 Laphroaig has a reputation for being among the peatiest of whiskies, but even a massive malt like this one becomes more subtle at such an advanced age as 28 years. Long-term interaction with cask wood sublimates some of the pungent flavors of peat and draws out more complex tasting notes that may have been latent. While this Scotch is undeniably smoky, it has a more delicate nature than the younger Laphroaigs. Scotch so old comes at a price that’s dear, and this one has a suggested retail price of $799.